To mark the start of the World Heritage Committee meeting at the beginning of this week, I went out to the Upper Florentine Valley, site of Camp Floz. The Upper Florentine was my home before I went up the Observer Tree in the nearby Tyenna Valley. And it will always have a special place in my heart. This was my first time going back since getting out of the tree. After not having been there in a year and a half, I wondered if it would feel overwhelming and emotional to go back. The camp’s packed down now, while we await an outcome from the World Heritage Committee. The only time I’ve seen the road empty of camp over the past 6 years has been when police and forestry Tasmania busted through and dismantled the camp in order to proceed with logging…. an experience that was heartbreaking for all of us who tried to defend those forests. 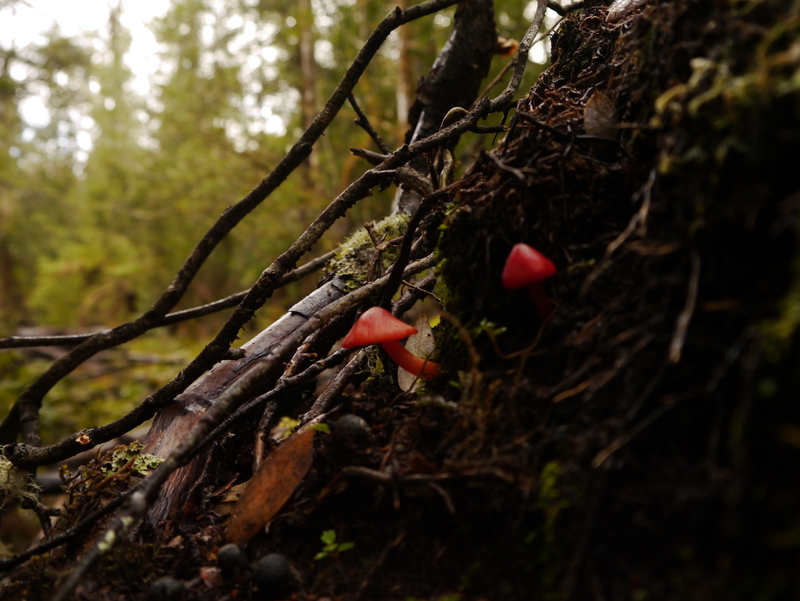 But this time, I stood there on that logging road with a new feeling…. anticipating that sometime over the next week this forest might be declared World Heritage. I went to visit some of my favourite places and my favourite trees. I went and sat with the stumps of the old tree sits – BackSit and Lungs of the Land. Once mighty giants that towered above the understorey, and whose limbs housed tree sits in which I spent many nights. During a police bust of the camp about 4 years ago those trees were met with chainsaws… A moment I will never forget. I go back to visit those stumps and although there will always be sadness in my heart that those beautiful trees I knew so well are gone… it stirs something else in my heart too. The spirit of resistance, the strength and power of our community. For those stumps remind me that we will never give in. No matter how much they try to defeat us, no matter how many times they busted our camp and tried to log that valley, we just kept fighting. 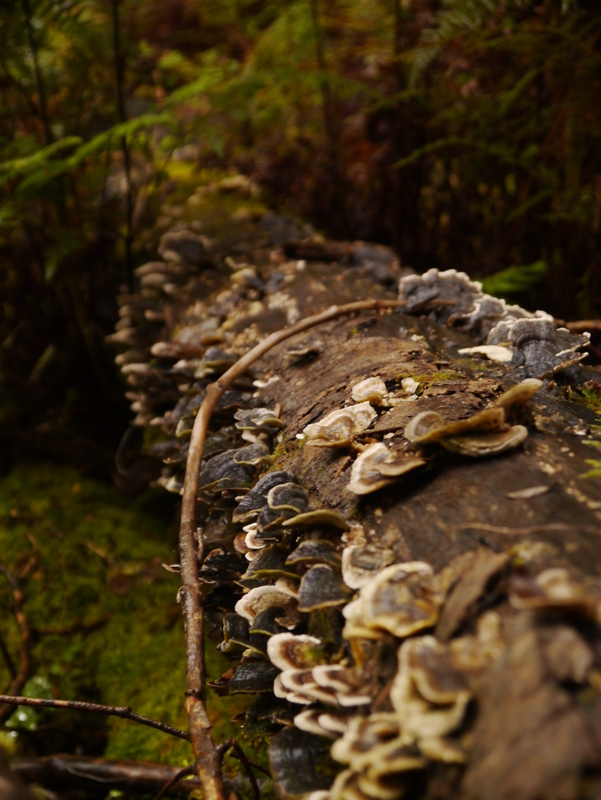 It was beautiful to see moss and fungi growing from those stumps… the cycle of life continuing. The majority of the Upper Florentine Valley remains standing to this day because of the tireless efforts of our community to stand on the front lines at Camp Florentine and stop the machines from getting access to that valley. Out of the 15 logging coupes that were due to be logged in the Upper Florentine over 6 years ago – they only managed to fell 2 and a half. Out of the 10.5 km of road they wanted to build, they only pushed in 2km. That is something for us to be proud of. Similarly in the nearby Tyenna Valley, an area of forest was destined to be clearfelled, when logging began on Monday December 12th 2011. On the Wednesday I climbed into a tree in the middle of the coupe and said I wouldn’t get down until the forest was protected. By the end of the week the logging ceased. the machines never returned, as I continued my tree top vigil for over 14 months. This one action became a catalyst, gathering international support and increasing momentum for the campaign. Camp Florentine and Observer Tree are two examples out of decades worth of grassroots activism in this island state, of people fighting for protection for our precious forests. Now we all wait with nail-biting anticipation for the announcement of the World Heritage Committee…. 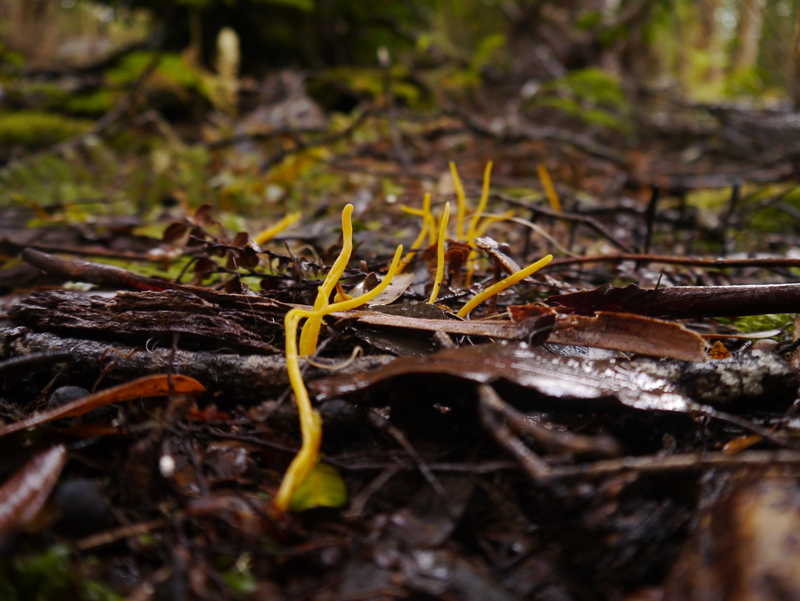 our fingers tightly crossed for a positive outcome and a offical listing of these forests in the Tasmanian Wilderness World Heritage Area. As I stood there in a forest that my whole life centered around for many years…. a place that has for the past 6 years kept me with an anxiety in my heart: that at any moment it could be lost to the chainsaws. I stood there and imagined what it would be like to return and know it will never be logged…. There will be plenty more forest we need to fight for even if these areas are secured. Hundreds of thousands of verified high conservation value forest will still remain open for logging. Let’s hope we’ll soon be celebrating our new World Heritage protected forests and from the inspiration of this success we can launch our campaign forward to ensure that all of Tasmania’s precious forests get the protection they deserve. For those in Tasmania, please join us on June 30th at the site of Camp Florentine to celebrate the strength of our community in ensuring these forests are still standing. From 12 noon, meet at the camp (20 kms West of Maydena, along Gordon River Road, on the way to Lake Pedder). Bring a picnic lunch, walking shoes and wet-weather gear. See you there! Community gathering to celebrate the Upper Florentine’s potential World Heritage listing and success of the Camp Florentine. You are invited to celebrate the peaceful defence of the Upper Florentine valley and success of the Camp Florentine forest blockade. We’re calling on all members of the community who care about the Upper Florentine, who have taken part in the campaign to protect it and supported or spent time at the blockade. Come and celebrate the fact that most of the valley is still standing because of our community efforts and will hopefully be listed as World Heritage. Between June 17 and June 27, the World Heritage Committee will meet in Cambodia and discuss the Australian Government’s nomination for an additional 120,000ha of forest to be added to the Tasmanian Wilderness World Heritage Area. 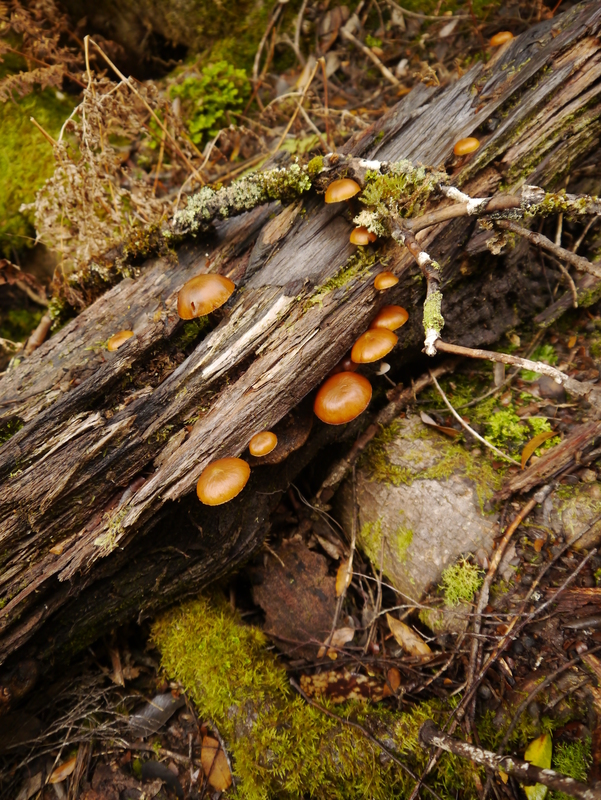 The nomination includes some of the most significant areas of old growth forest in southern Tasmania, places like the Upper Florentine, Styx, North Weld Valley and Middle Huon. 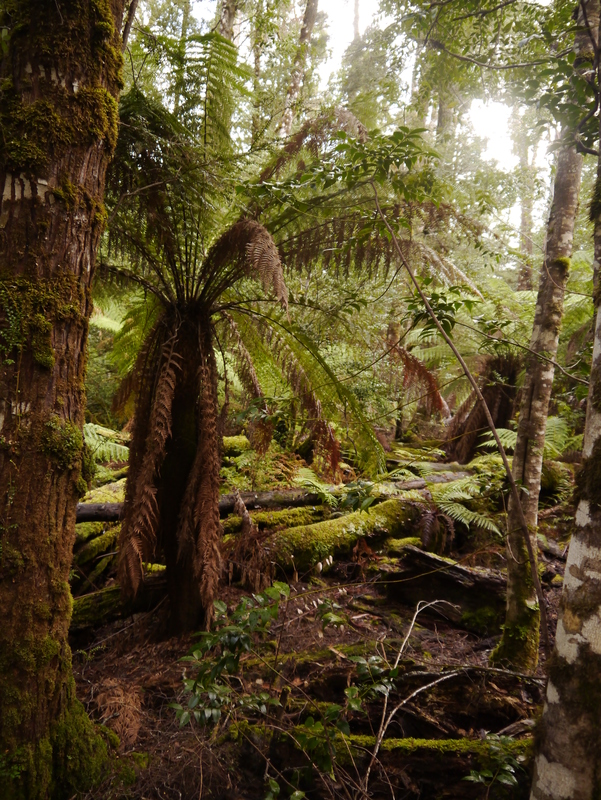 While we know there is a still a long way to go to keep fighting for an end to the destruction of native forests in Tasmania, we’d like to take a moment to acknowledge and celebrate this important step towards protection of some spectacular forests. For over 6 years the forests of the Upper Florentine were defended by the community through grass roots direct action. Camp Florentine became the longest running continuous forest blockade in Tasmania’s history, which prevented logging of up to 1000ha of old growth forest and stopped construction of 10 km of proposed roads. Without the community campaigns and the blockade this valley would have already been filled with clearfells. Now it is nominated for World Heritage. That’s something to celebrate we reckon! So many people from all walks of life have contributed to this campaign and now it’s time for all of us to get together and to acknowledge the parts we’ve all played in keeping this forest standing. Bring some picnic food, wet weather gear, walking shoes, big smiles and maybe even some celebratory bubbly. We’ll have a picnic, hear speeches, catch up with each other and go for a few short walks through the magnificent forest that still stands. Last days of Observer Tree online art exhibition! This week is your last chance to purchase art from our online exhibition, which finishes on Friday, May 31st. 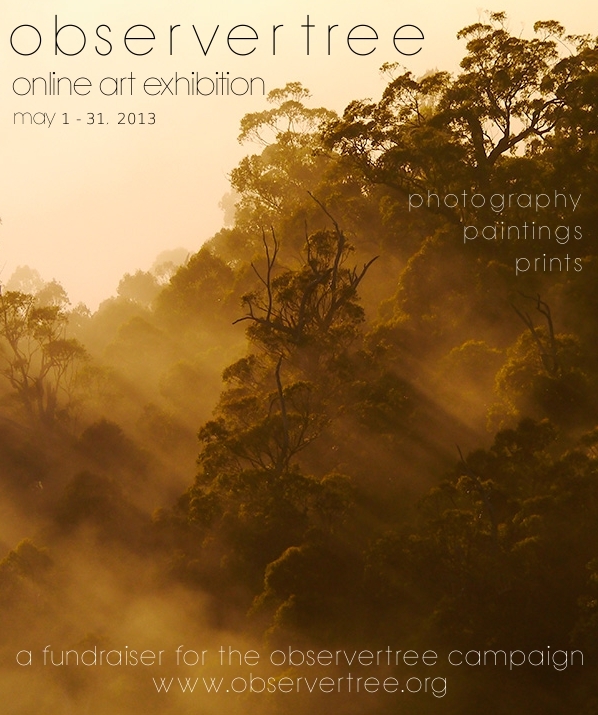 All proceeds from art sales go towards the campaign to protect Tasmania’s ancient forests. Click HERE to view exhibition and purchase artwork. Former Senator Bob Brown and the Huon Valley Environment Centre’s Jenny Weber have returned from Sarawak in Malaysia to campaign for indigenous people who want Australian hydroelectric companies to leave Sarawak. Sarawak’s riverside dwellers are angry that Hydro Tasmania and the Snowy Mountains Engineering Corporation have won huge contracts to help the construction or business extension of the dams at their expense. Thousands of people have beem displaced already. 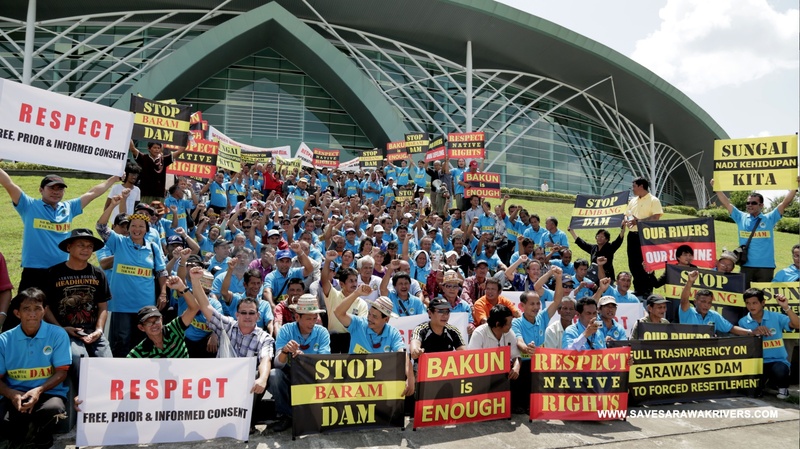 20,000 more will be flooded out of their ancestral lands if the giant Baram River dam proposed for central Sarawak goes ahead as planned next year. In a meeting in the Sarawak capital Kuching on Friday, Hydro Tasmania’s chair David Crean and CEO Roy Adair met a delegation of 13 indigenous people including Baram elders. The delegation told how they were ignored and cheated by Sarawak authorities. They presented HT with a letter asking it to leave Sarawak. Dr Crean said that contention that HT would leave was not true. He gave a good hearing to the delegation as claims that dams are being built with no proper consultations and no social or environmental studies were aired. “How would you like your house to be flooded?” one Baram leader asked. 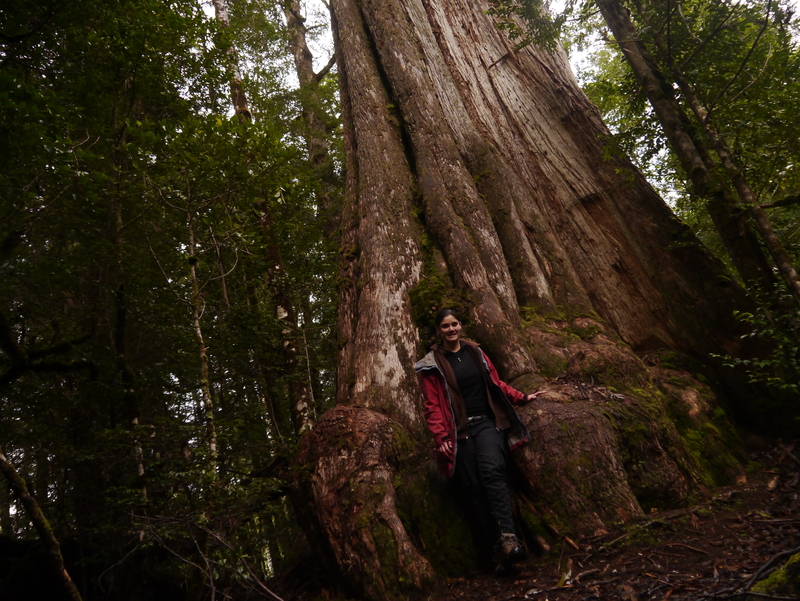 Brown, who will be at the Sydney Writers Festival today, said that the the Sarawak Chief Minister’s cousin, Hamed Sepawi, heads up both Hydro Sarawak and Ta Ann, the controversial logging company now operating in the Tasmanian forests. Chief Minister Taib is under investigation by the Malaysian Anti-Corruption Commission but has refused to appear before it. Brown said that the Snowy Mountains Engineering Commission, which has some 200 personnel working in Sarawak, owed the Australian public a full account of its role in the construction of the mega-dams bringing so much misery to indigenous locals. ‘Most Australians have no idea of the impact the dams, using Australian expertise, are having on the ancient cultures and wellbeing of the people living along Sarawak’s rivers,” Brown said. Asian Correspondent: Australian Greens join protests against dams in Sarawak. 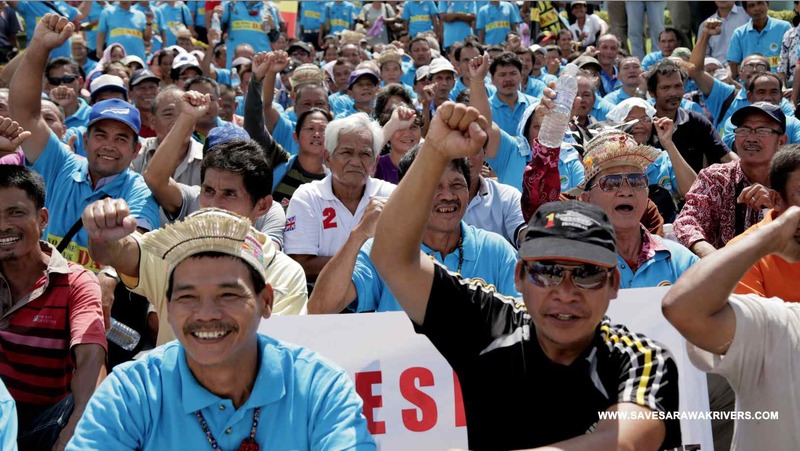 to show your support to Sarawak’s indigenous peoples: CLICK HERE. Media Release: 7th May, 2013. 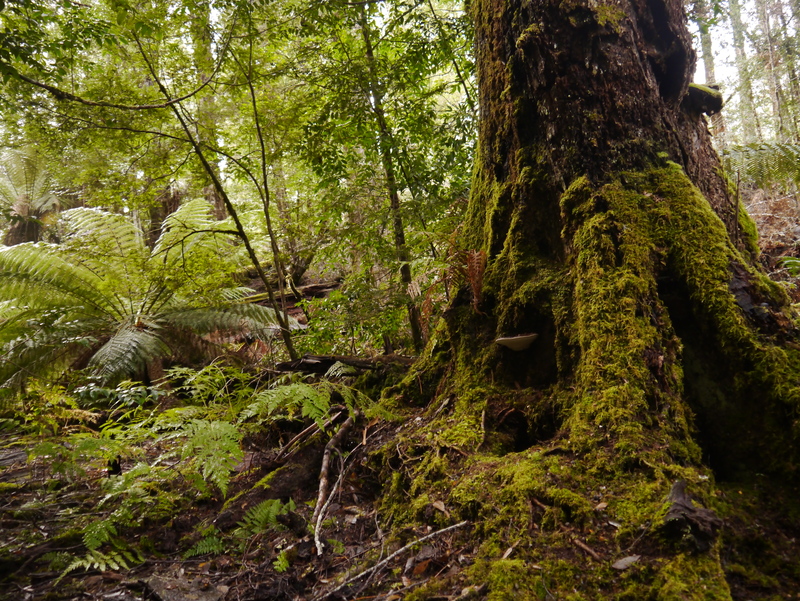 The implications for native forests around Australia of Tasmania’s controversial new forest law are alarming forest campaign groups around the nation. They fear that the loggers, state governments and those environment groups party to the forest agreement will now attempt to use this as a model for the rest of the country with dreadful impacts on Australia’s forests. The constraints on advocacy and peaceful protest are also of great concern, as an extraordinary precedent has been set under which the environment will be punished if groups dare to strongly advocate genuine forest protection and transition from native forest logging, especially to markets and consumers. Already the Prime Minister has demonstrated in her call to silence environmental critics that an era of victimisation and vilification has begun. Forest campaigners around the nation have condemned the new Tasmanian forest law, including Environment East Gippsland, Gippsland Environment Group, South East Region Conservation Alliance (SERCA), Rainforest Information Centre, Forestmedia, Friends of Leadbeater’s Possum, Chipstop, and NativesRule.org. “If the new law was genuinely aimed at balancing conservation outcomes and a sustainable industry, public scrutiny and comment about what it contains would be no threat to it.” Harriett Swift said. “We expected nothing less than an adequate reserve system and an accountable industry. This agreement delivers neither,” Harriett Swift said. · World Heritage nominated forests are still being logged and this will continue until mid-June, after which associated ongoing operations such as log removals will still continue in relation to those areas. · Native forest logging is entrenched and greenwashed, a major departure from national conservation groups’ policy for a rapid transition of logging away from native forests into existing plantations. The bill passed in Tasmania’s House of Assembly yesterday is primarily yet another industry lifeline and has betrayed the environment. Grass-roots environment organisations have been left stunned that a bill that lacks conservation assurances and props up a collapsing and unviable destructive native forestry industry has passed with support of some Greens parliamentarians. Still Wild Still Threatened and Huon Valley Environment Centre have renewed their commitment to forest protection advocacy in all forms. 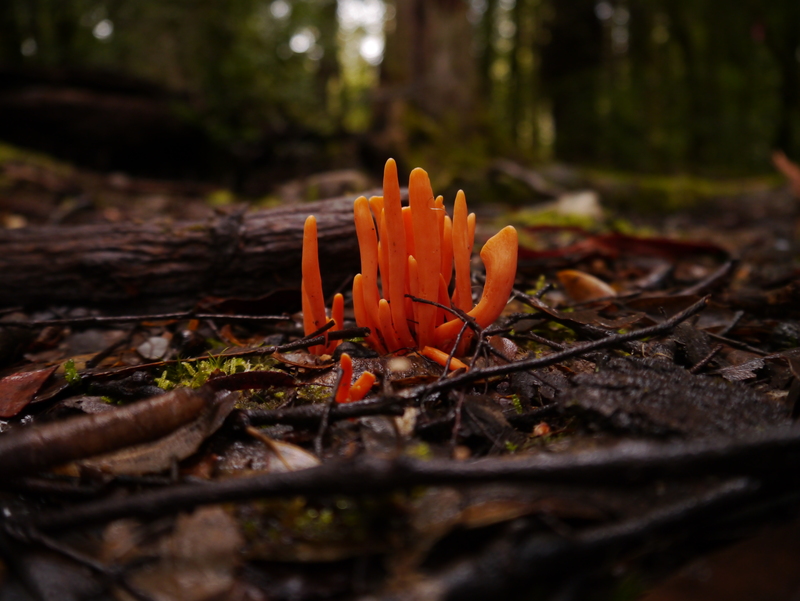 Huon Valley Environment Centre’s spokesperson Jenny Weber stated, “Today we are far from assurances of protection for Tasmania’s wild forests. The passing of this legislation, that is very pro-industry with merely a conservation veneer, does not deliver any upfront forest reserves. Logging will continue inside the proposed reserves, as there are areas of forest that were excised from the proposed reserves to meet the logging schedule. “This legislation fails the wild forests, and we will be there to provide scrutiny of a forestry industry that has not made any commitment to changing environmentally destructive practices,” Jenny Weber said. 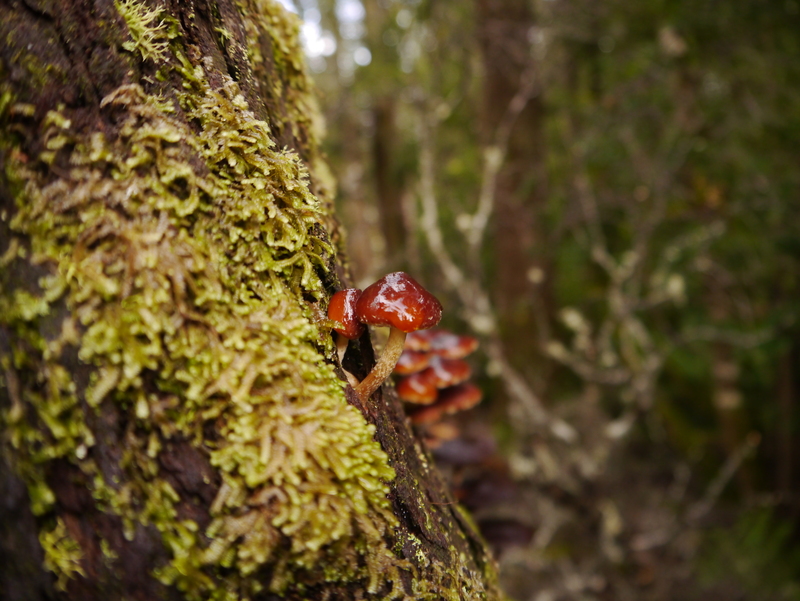 Still Wild Still Threatened spokesperson Miranda Gibson stated, “In response to the Forest Bill passed by the House of Assembly yesterday, the Huon Valley Environment Centre and Still Wild Still Threatened have vowed to continue to campaign for Tasmania’s forests. The legislation entrenches and props up the unviable native forest industry and ongoing logging of high conservation value forests, while making the attainment of new reserves virtually impossible. Conservation outcomes have been undeniably sidelined. Those groups and members of the Tasmanian State Greens who have supported this bill have aligned themselves with the collapsing forestry industry at the expense of our forests,” Miranda Gibson said. “We are alarmed by the threat to curtail freedom of speech and the rights of protest out of yesterday’s legislation, which attempts to blackmail the community into silence by holding forests at ransom. These are undemocratic tactics to silence the voice of the community and benefit the forestry industry. The new clause provides the opportunity for either House of Government to determine what constitutes a failure of durability, including substantial active protests or substantial market disruption, and once that determination is made, reserves do not proceed,” Huon Valley Environment Centre’s Jenny Weber said. “As The Wilderness Society, Environment Tasmania and the Australian Conservation Foundation are now committed to forsaking the role of forest advocacy and have become the green-mouthpiece for a forestry industry, who yesterday claimed they got everything they wanted out of the of the TFA process and consistently refuses to make necessary changes to their out-dated, destructive and reprehensible practices, our organisations will redouble our efforts to campaign for the protection of intact natural ecosystems,” Jenny Weber said. “The native forest industry is not economically viable when left to stand on it’s own two feet. Yet, the House of Assembly has just passed a bill that will continue to prop up this out-dated and unviable industry with tax payer funds whilst disregarding community concerns and scientific recommendations for forest protection.” Still Wild Still Threatened’s Miranda Gibson said. “It is delusional to believe that this bill will deliver adequate forest protection. Hundreds of thousands of hectares of verified high conservation value forests are being held to ransom, with protection subject not only to durability measures at the whim of both houses of Tasmania’s parliament, but also dependent on FSC certification. Under this bill high conservation value forests will continue to fall and human rights violations tacitly accepted. 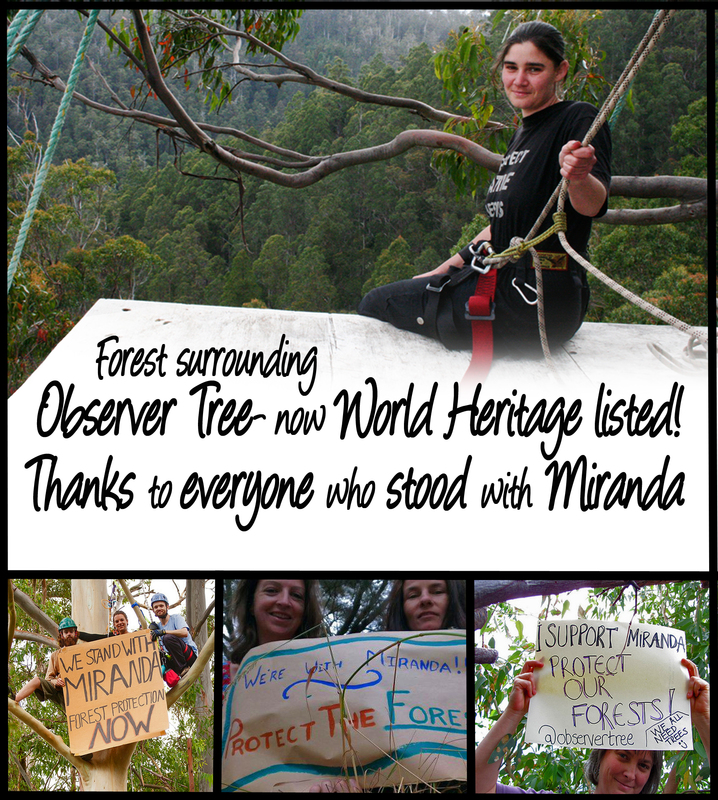 As long as they do, we will continue stand up for those ecosystems, forests, communities and cultures that are threatened,” Miranda Gibson concluded.